People buy clothes without much forethought. Because of this, the pieces they own feel disjointed from one another which leads to the dilemma of having a closet full of clothes and nothing to wear. The clothing that we wear is a form of self-expression. That’s why Moda Mentore helps individuals rebuild their wardrobes in order to develop a personal sense of style. We teach you how to put new looks together and introduce you to the brands, cuts and fabrications that look best on your body. 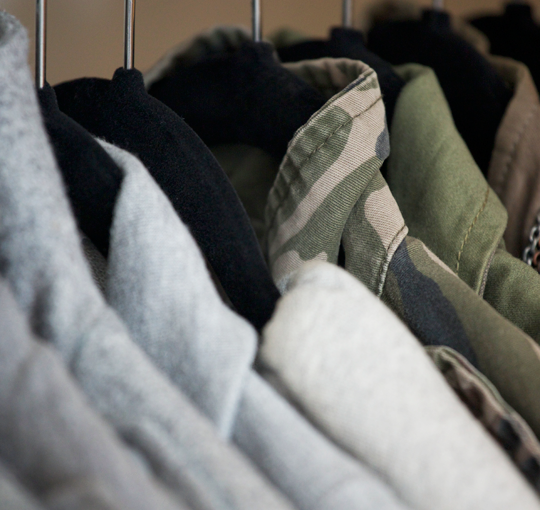 We evaluate what you own to make sure that all of the pieces in your closet fit you properly and are relevant for your current lifestyle. We can reorganize your space so you can actually see what you own and will pin-point any voids that exist in your wardrobe. From here we are able to shop for you purposefully. Buying clothes is expensive. That’s why we focus on finding key pieces that help turn all those random items in your closet into a cohesive wardrobe. Your shoe collection needs to consist of more than a work shoe, a boat shoe and a gym shoe. Don't buy multiples of everything just because it fits. Five of the same polo in different colors with five of the same pants leads you to look the same, every day. There's a way to look styled and sharp without looking like you're trying too hard. If something in your closet doesn't fit properly, get rid of it. Invest money in the staples. 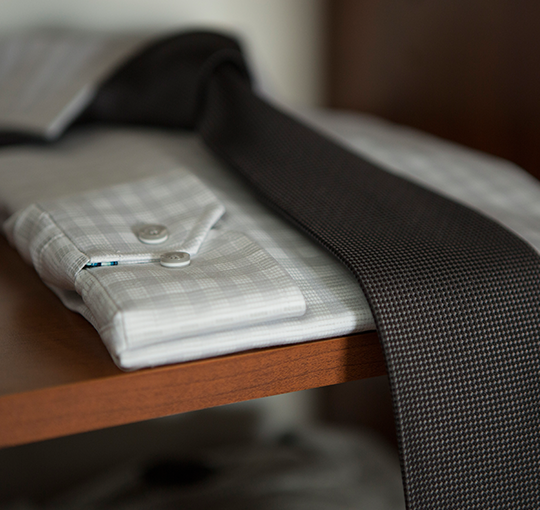 If you wear a suit every day to work, buy a couple that fit you perfectly. They may be a little extra money up front, but you'll feel awesome and command the room at your next meeting. Before Moda Mentore, I oversaw the Designer division at the Flagship store of a major retailer. In that role I developed the sales teams across the men’s and women’s apparel, shoe and handbag departments. It was a job that I loved not only because of the beautiful collections that I got to work with each day but because I was continuously encouraged to think about ways to enhance the customer’s experience. Despite much of our success, there was one nagging question that I knew could never be solved by a retailer objectively - how can a client look her best without having to constantly go out and buy something new? It's a question that retailers don't ask because in the end, their objective is to sell you something. Never do you go into a store and have a salesperson tell you that you don't need a thing. For the most part we've accepted that this is the way it is - when a slightly momentous occasion approaches, we go out in search of another "perfect outfit." As someone whose spent far too many dollars on way too many clothes, this question continued to ignite curiosity and so I began to search for an answer. I created Moda Mentore with this in mind - it guides the process of the experience. My clients have come to appreciate that the perfect outfit is often already right there in their closet. There will always be a need to shop - fashion continuously evolves and because of that, so too do our wardrobes. But Moda Mentore’s focus is to help you to build your wardrobe purposefully, easily, and without having to hit the reset button at the end of each season.